Nintendo president Satoru Iwata announced Wednesday morning that the company is working on two Legend of Zelda games for the Wii U. 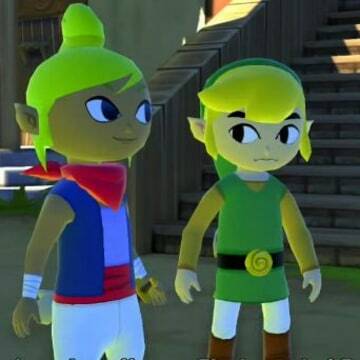 One is a brand new game and the other is a remake of the classic "The Legend of Zelda: The Wind Waker." Nintendo President Satoru Iwata apologized to Wii U owners on Wednesday for failing to deliver any new games for the company's brand new home game machine in the early months of 2013. But he also revealed that Nintendo is working on a host of new Wii U games starring some of the company's most beloved characters. Iwata announced that Nintendo is working on two brand new Mario games, a new Zelda and a new Yoshi game as well as a new Super Smash Bros. game for the Wii U. As part of the Nintendo Direct webcast (available in its entirety here), Iwata also revealed that Nintendo is remaking one of the company's beloved classic games — "The Legend of Zelda: The Wind Waker" — especially for the Wii U. 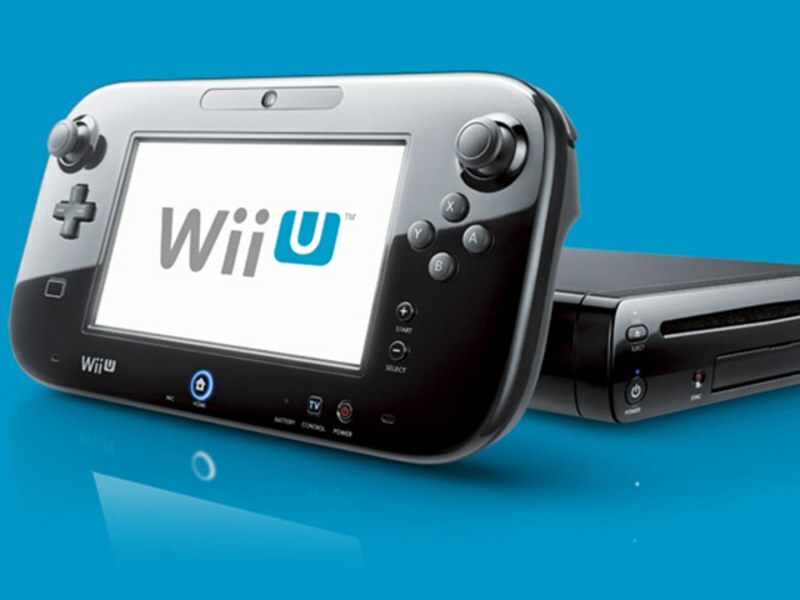 The news comes as Nintendo tries to boost interest in the Wii U. The company has sold 890,000 of the machines in the United States since its October launch. But since the initial wave of games arrived, new titles to play on the machine have been few and far between. And last week, Nintendo revealed that some of the biggest games for the Wii U — "Game & Wario," "The Wonderful 101," "Wii Fit U" and "Pikmin 3" — would not be arriving during the early months of 2013 as it had been previously suggested. 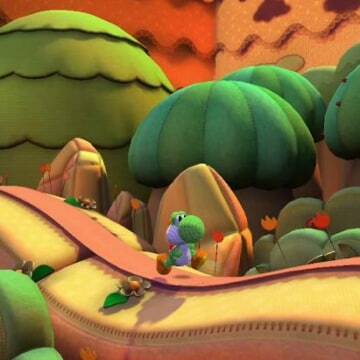 "There will be no new titles released for Wii U from Nintendo in January or February," Iwata said Wednesday morning. "Nintendo takes seriously its responsibility to offer a steady stream of new titles in the very early days of a new platform to establish a good lineup of software. On the other hand, we also firmly believe we have to offer quality experiences when we release new titles. "Based on our software development schedules at the end of last year, we concluded we should spend a little more time to satisfy our Nintendo standard of quality," he said. "I apologize to those supporting Wii U about the lack of new titles from Nintendo in January and February but please understand we will have new titles to offer from March onward." He promised a steady stream of games for the Wii U through spring and summer including "Game & Wario," "The Wonderful 101," "Wii Fit U," "Pikmin 3" and "LEGO City Undercover." And he also revealed some of the games that will be arriving beyond that. 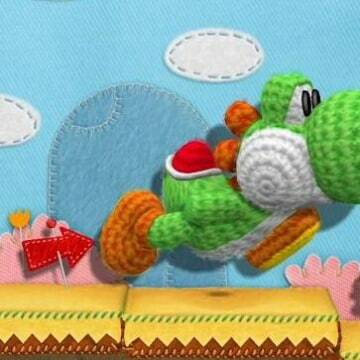 Yoshi gets to star in a new game ... and gets a crafty makeover at the same time. Nintendo's mustashioed mascott Mario will be leading the charge. Though he didn't reveal many details, Iwata said the team that created the best-selling "Super Mario Galaxy" games is working on a new 3D Mario action game and that a new installment in the "Mario Kart" racing series is also in the works. Iwata said Nintendo will have playable versions of both games ready to show in June at the annual Electronic Entertainment Expo (aka E3) in Los Angeles. A new Yoshi yarn is on the way. Iwata said Nintendo is also working on a new installment in the company's famed fighting franchise — Super Smash Bros. — and will show off screenshots from the game at E3. Meanwhile, the new Legend of Zelda game in the works for the Wii U will be a departure from earlier series installments, producer Eiji Aonuma said during Nintendo's video event Wednesday. He said the team plans "to create a newborn Zelda so players today can enjoy the real essence of the franchise." But that game "is going to take some time to complete," Aonuma admitted. 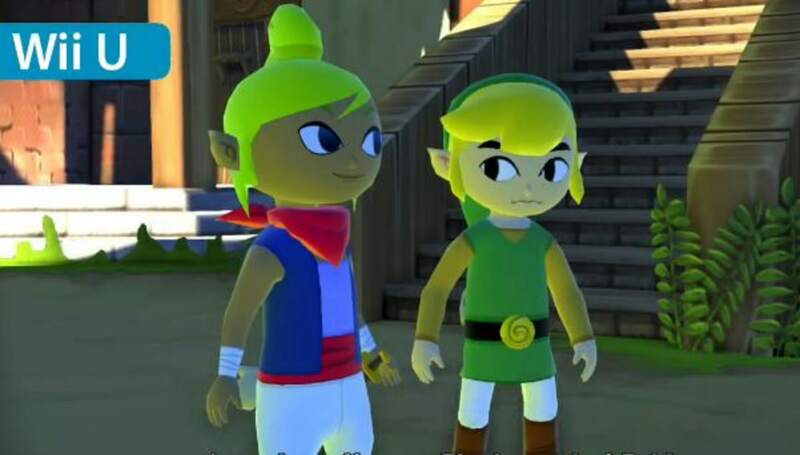 In the meantime, Zelda fans will be able to tide themselves over with the remake of "The Legend of Zelda: The Wind Waker" (which originally launched in 2003 for Nintendo's GameGube). The remake will see the game getting an HD graphics upgrade so it can shine on the Wii U, and it will be available this fall. 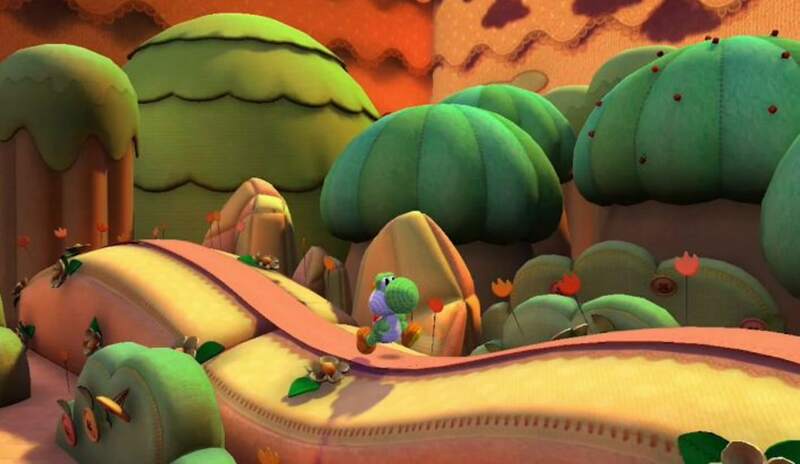 While it doesn't come as a shock to hear that Nintendo is updating its biggest franchises with new games, it was something of a surprise to hear that Yoshi — Mario and Luigi's beloved dinosaur sidekick — will get to star in his own home console game for the first time since the 1998 Nintendo 64 game "Yoshi's Story." 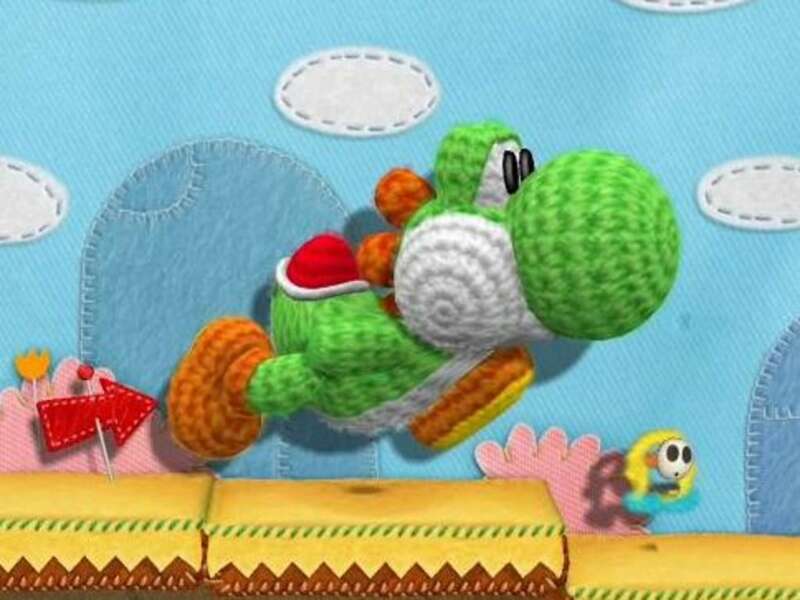 The team that created the delightful "Kirby's Epic Yarn" (one of my favorite games of 2010) is in the midst of working the new Yoshi game, which finds the dino critter getting a crafty makeover much like Kirby did. Certainly an influx of famed Nintendo characters would do much to boost excitement about the Wii U console — especially as Microsoft and Sony are expected to soon reveal reveal their own new home game machines in the coming months. But whether Mario, Zelda and Yoshi arrive in time to help Nintendo's machine keep up with the forthcoming competition remains to be seen. Nintendo is working on smartphone support for the Wii U's online Miiverse community. That support will eventually include an app which will enable console owners to access Miiverse content while away from home. Wii U software updates are coming both in the Spring and Summer which will allow games to load faster and endable quicker access to the machine's main menu (which is good news for any Wii U owner who has been not-so-patiently waiting through the console's painfully sloooow load times). The Will U Virtual Console — which will lets you play NES and Super NES titles on the Wii U — will arrive in Spring.